It’s hard to judge a book when it fails to create an opinion, when the work is neither bad nor too impressive. I call this situation The Valley of Hot and Cold. The Bridges of Madison County, The Testament of Mary and The Reluctant Fundamentalist are some of the famous works which ought to fall in this category. Another resident in this dissident valley is A Town Like Ours. Kavery Nambisan’s seventh novel is a pursuit of characters. Set in the small village-turned-town of Pingakshipura, the novel and its structure recline on the lives of its central characters, two couples. One of them, Saroja and Sampathu, fled their respective families in the most unusual circumstances and live an odd life, being parents to each other’s child. The other couple, Kripa and Manohar, are childless, struggling with each other’s lifestyle and artistic endeavours. All the other characters surround these four, including the narrator, an old prostitute who sits by the window of her room and witnesses the lives of all these people. The novel’s story is no doubt gripping. From being a study of characters, it persistently throttles into a thriller. The narration of dysfunctional families turns often into a crime suspense. However interesting and twisted the plot maybe though, the book is unable to make the reader applaud its every chapter. The most alluring aspect of the book is in its characters. The four main characters have dented pasts and carry that baggage with them throughout the novel, which makes the novel more ‘literary’. The surrounding characters, especially the narrator, Rajkumari, are also dealt with beautifully; rather, they are much more nuanced and grounded as compared to the other four. Nambisan’s writing was a tour de force when her first novel, The Scent of Pepper, hit the shelves some twenty years ago. 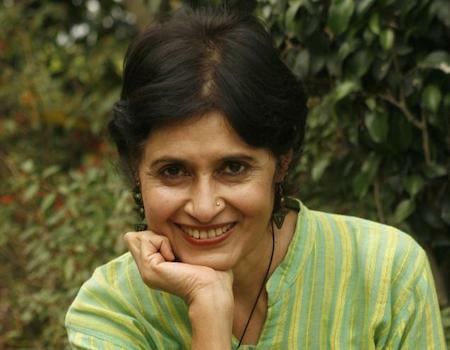 She again made headlines when her previous work The Story That Must Not Be Told got short-listed for the Man Asian literary prize as well as the DSC Prize for South Asian Literature. But with her seventh venture, she seems to have run out of steam. Not at all grody, her writing however fails to achieve the pinnacle her previous works attained. Despite that, she is compellingly able to capture the essence of her characters on the paper. Overall though, A Town Like Ours might not have been Kavery Nambisan’s best work till date, but it certainly is one which can be read for fun, to be kept on the bookshelves between The Lost Flamingoes of Bombay and Cobalt Blue. Interested in checking out more books in the ‘Valley of Hot and Cold’ genre? Look no further than our review of The Testament of Mary.